This harness accessory is mandatory if your Data-East pinball machine has a weak +12V sound board power. You can check the 12V on the soundboard (CN2 or CN4 connector: 12V / GND) with a digital multimeter in voltmeter mode. 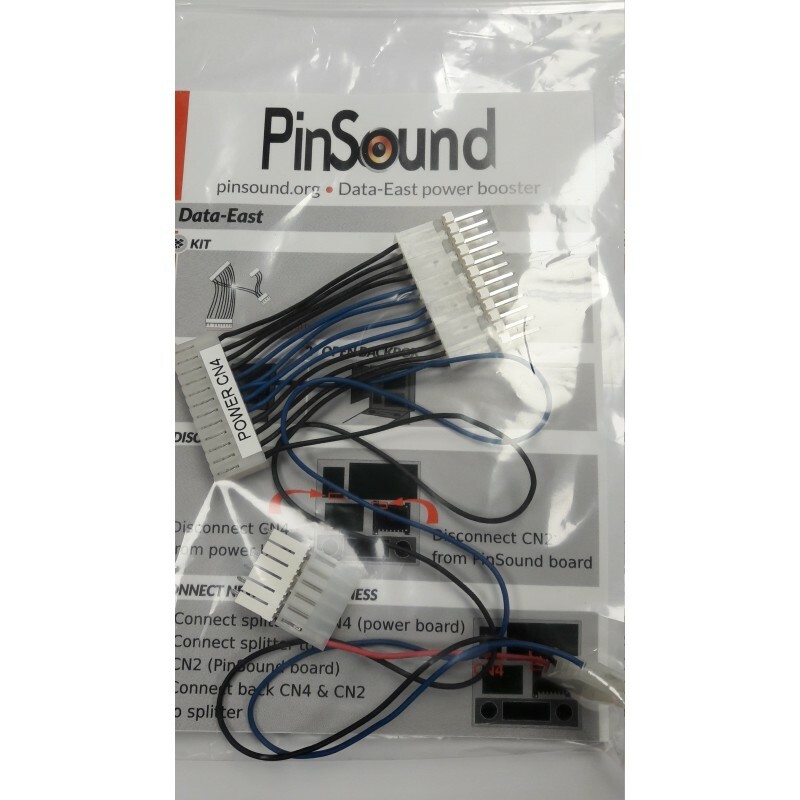 This harness provides a steady power supply from the power board to your PinSound board: no more sound cut while playing of flipping!